The administrators of a restaurant chain have instructed CAPA to conduct a property audit on the company’s prime central London locations. Martha Thompson and Sarah Rayment, of the accountancy and advisory firm BDO, were appointed administrators of Villandry Foodstore Restaurant Ltd in August 2018. The dining chain had endured similar financial problems to those impacting other restaurant businesses around the country – particularly rising rents across its sites. In 2017 the group, which had been serving customers for 20 years, saw rent at its Great Portland Street property, which sits near Regents Park and Marylebone in central London, double. The rent at its St James’s restaurant, located near Trafalgar Square and Piccadilly Circus, also increased 16% during the same year. These losses were the biggest driver of increased losses during 2017, but in its accounts for that same year, Villandry also highlighted the rise in food and drink prices due to the fall in Sterling, rising labour costs and the decline in spending across mid-market restaurants as its biggest risks. 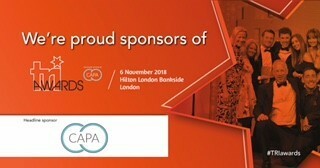 The administrators at BDO have now instructed CAPA to conduct a property audit across the prime London locations - known for their décor as grand cafés - and a third restaurant in Bicester. CAPA’s expert team will now undertake a forensic audit of sums paid out across the properties, including utility bills and other elements. The team will use bespoke software to inspect the data and uncover errors or any anomalies, such as overspend, that will enable them to recover cash for Villandry’s creditors.